Why Do Some Interior Decorators in Orlando Cost More Than Others? Many homeowners in the Orlando area want to improve their home’s interior by adding tasteful, stylish features and décor to the space. Interior decorating is a great way to give your home personal flair and to make the space your own. While some will decorate their space on their own, others will turn to an Interior Decorators in Orlando for assistance. Getting quotes from different decorators is a wise first step to take when working with interior designers, and you may quickly notice that there is a big price difference in the professionals you reach out to. While you may be inclined to move forward with the professional who charges the lowest rate, it is important to understand why some decorators charge more than others. By doing so, you may discover that Angela Neel Interiors is the right designer for you to work with. As a homeowner, you may have a specific look in mind for your newly decorated home, or you may need some inspiration from an expert. While one interior decorator in Orlando may be willing to and excited about working with a blank canvas and may offer you numerous suggestions to consider, others are only able to effectively pull off a plan that you already have in mind. Some will shop with you for decorative pieces, and others may not offer this as a service. These are only a few of the ways that interior design services vary in the local area. When comparing quotes, take time to review the services that are included with the fee so that you make an apples to apples comparison. Another key difference between the quotes relates to the experience and education of the professional. Some individuals may have gone to school for interior design and may have the benefit of higher level training to bring to the table. They also may have many years or even decades of experience working with clients and providing them with stellar results. Others may have limited experience and no formal education in the field. Review the credentials of the professionals you are interviewing for this position so that you make the most informed decision possible. A final point to consider when reviewing quotes for interior design in the Orlando area is service. The cost of a quote does not always accurately reflect in the level of service that you will receive, so avoid making a decision on service based on the quotes. Instead, pay attention to how responsive the individual is as well as how educated and thoughtful he or she seems when in your home. The individual should be courteous, and you should find his or her demeanor to be personable. Keep in mind that you will be working closely with this professional for many weeks or months. 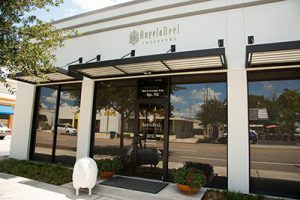 Angela Neel Interiors is just one of several interior designers that you can request a quote from, but this may the right option for you. As you review your quotes for an Interior Decorators in Orlando and make your final decision, keep these points in mind.